The ad was for an event here in Vancouver featuring conservative political commentator Ben Shapiro. And, as is probably obvious, my son loves Ben Shapiro. We clicked on the link, figured out the time and location, and immediately emailed for tickets. Which seems a logical course of action except for one small detail: my husband and I are bleeding-heart liberals, about as far left on the political spectrum as Americans can get. My willingness to support my son’s political interests is a fairly recent development. When he first discovered and began listening to conservative pundits on YouTube about a year ago, my husband and I panicked. Our current POTUS had been elected just a year before and we were–to put it mildly–wildly upset by his rhetoric and policies. Hearing our son parrot conservative talking points with a sudden energy and conviction was–to put it mildly–terrifying. Several nights after our kids went to bed, my husband and I would conference about what to do about this new development. While we could hold fiscal conservatism respectfully as an alternative perspective, there were other things on Shapiro’s program and others’ that neither of us could stomach: antagonism towards feminists, transphobic rhetoric, and a general demeaning of those who believe like my husband and I do. After listening to a particularly strong verbal thrashing of “the Dems” by one of these pundits, I asked my son why he chose to listen to people who believe completely opposite to what we, his parents, believed. So we let him listen, but with a few parental guidelines. We put time limits on his phone and drew the line at those who cavorted with white nationalists–Gavin McInnes was out, but Ben Shapiro and Andrew Klavan could stay. Meanwhile, my son went on the offensive, unplugging his headphones to put his favourite shows on speaker so we could listen as well. This proved… interesting. My husband could only stand a few minutes before walking out of the room and, depending on the subject, I couldn’t last much longer. Our first few times listening ended quickly, with my son on the defensive and my husband and I yelling at the podcaster. We kept trying though. We had to find a way forward. 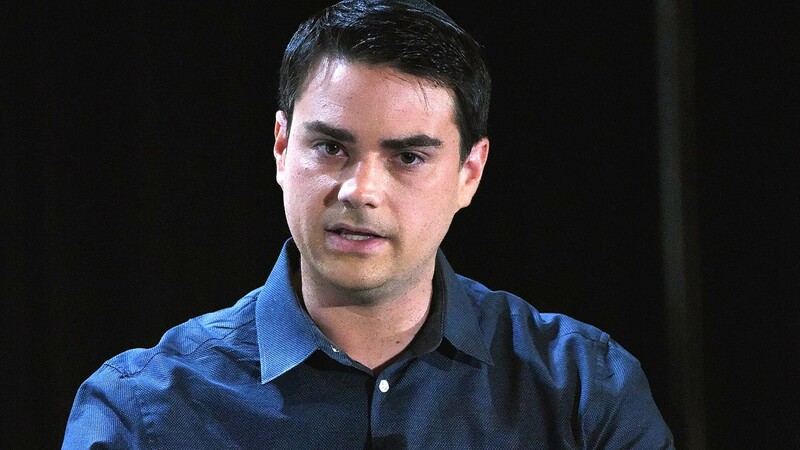 The way forward came when, one miraculous afternoon, I agreed with something Ben Shapiro had to say. I nodded and clapped in amazement, and watched my son light up inside. From that day on, we still had arguments, but the power of our household tension had been broken. I think the philosophers call it finding common ground. That’s not to say we didn’t still have disagreements. When a subtly anti-trans quote went up on my son’s bedroom wall, I stared at it in fury, left to calm down, and returned to ask him about it. We talked for a few minutes, mostly with me asking questions and him offering answers. Finally, I drew my line in the sand–listening to other viewpoints was fine, but shaming or belittling people was not. By the time the ad for the Ben Shapiro lecture came up on Facebook, I had listened to him enough with my son to discover the common ground was a few inches wider than that one issue I had agreed with him on a month or two before. It had also, by that time, become a regular occurrence for my son to ask me if it was a Jewish holiday when Ben–an Orthodox Jew–hadn’t recorded anything that day. That’s how he learned about Sukkot and Rosh Hashanah and Yom Kippur and discovered that Jews celebrate a LOT of holidays. Likewise, when a school assignment required my son to plan the meal he would serve to his personal hero, he learned about kashrut (his hero, of course, was Ben). A salmon dinner was planned and submitted to his teacher, although he sadly acknowledged Ben wouldn’t be able to eat in our non-kosher home. If I’m honest, it’s largely because Ben Shapiro is a proud Orthodox Jew that I bought those tickets in the end. If, through Ben, my son is learning to respect Judaism and Jews, then he is simultaneously learning to respect people who eat and drink and worship differently than him. And if listening to Ben Shapiro helps him do that, well…that’s something I can work with. If you’re wondering how the lecture itself turned out, I can tell you that I was pleasantly surprised. Because it was held in a synagogue, the subject was anti-Semitism and the future of Israel. Instead of disagreeing with 90-95% of what Ben said, I found myself disagreeing with only 10-15% of his arguments. And those were mostly expressed during the question/answer time with the crowd and related to transgender people. Before the night ended, my son and I lined up behind the rest to ask our own questions. We agreed that I would go first so he could get his thoughts together before addressing his hero in public. Unfortunately, as my turn came, the moderator announced that question time was over. Luckily, Ben said he could take one more, and I went to the mic to tell him how he had made his way into our home through my 14-year-old’s son love for his perspective. I asked a question, we had a civil, clarifying discussion, and then it was done. My son has only recently forgiven me for getting to ask Ben a question instead of him (for the record, his was “Will you run for president”)? But, for me, it was an unexpectedly important moment–to hear and to be heard by someone with whom I disagree; to respectfully carve out space with a question and be treated in kind with a considerate response. There are things I hope my son learned through all of this: first, that his dad and I love him and want to honour his changing perspectives, while continuing to be responsible parents. And second, that conservatives and liberals can and should agree on things related to our shared human dignity. In this particular instance, the common ground was a repudiation of anti-Semitism by conservatives and liberals, Jews and non-Jews alike. Coming after the tragedy of Pittsburgh, it is critical to publicly share that ground, together. What I learned takes this further: People of good will must insist on the equal human dignity of others before tragedy strikes. In these days of round-the-clock analysis and dehumanizing political rhetoric, it’s tempting to box up whole segments of a population and write them off–even if they’re our friends, family, or neighbours. Sometimes that’s necessary (I will continue to write off white supremacists and I make no apologies for that). But for the sake of our homes, our families, our communities, and our future, we must not only believe in each other’s equal, God-given dignity, but act as if it’s true. That’s what my son, via YouTube and listening to Ben Shapiro, has taught me.